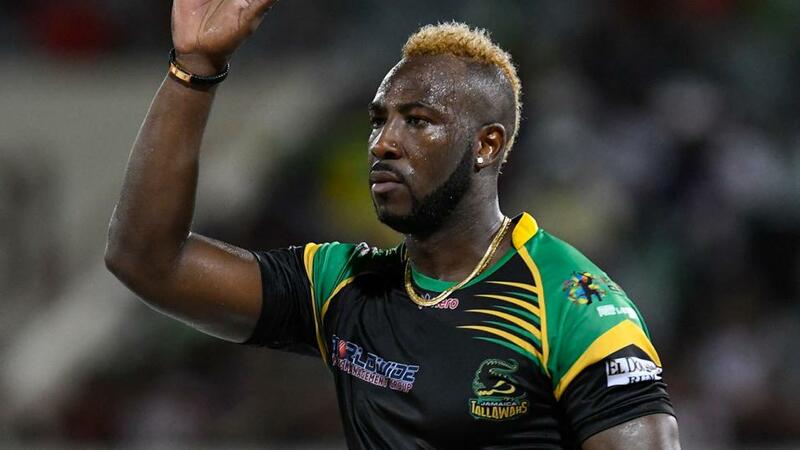 Andre Russell is amazing but he can't keep on bailing out the Knight Riders. A win for the brilliant all-round unit that are the Super Kings and a class act for the hosts to top score at a big price are Jamie Pacheco's tips ahead of this match. "You won’t find many better prices in this year’s edition of the IPL than the 5/6 about the Super Kings. This is a team packed with match-winners, led by one of the all-time great limited-overs captains, who love playing at home and thanks to Dhoni’s management are also a very united unit." The Super Kings formula carries on working and it would take a brave man to oppose them to win this competition again, let alone make the playoffs. Whatever it is that MS Dhoni and the management keep on doing, they keep on doing it pretty well. Speaking of Dhoni, he's been his usual self: keeping wicket brilliantly, calling the shots when they're fielding and bringing his ubiquitous mix of unorthodox batting and ice cool composure to the crease every time he bats. Once he calls it a day, there may never be another one like him again. A word too for the evergreen Imran Tahir, the South African leggie with seven wickets from five appearances. A reminder that if you're good enough, you're young enough. For good measure, the 40 year-old is also going for less than six an over. Any side who can boast Sunil Narine and Andre Russell has a head start on just about any side they come up against. The former opens the batting and is perhaps the most effective pinch hitter at present in T20 cricket while being one of the most economical spinners in limited overs cricket while the latter is just a freak of nature. I've argued many a time right here on betting.betfair that Russell is the most valuable T20 player in the world and nothing he's done so far in this edition off the IPL has made me change my mind about that. If anything, he's been even more dangerous than ever this time round, particularly with the bat, time and again rescuing his side from precarious positions. Few players in the world have his brute strength and talent for predicting where the ball is going to be bowled next, before depositing it into the stands. The Knight Riders are going to be very tough to beat as well. You won't find many better prices in this year's edition of the IPL in terms of the math winner market than the 7/10 about the Super Kings. This is a team packed with match-winners, led by one of the all-time great limited-overs captains, who love playing at home and thanks to Dhoni's man management are also a very united unit. Sure, the fact that they're favourites isn't telling you anything you don't already know but then again, they're 7/10, not 1/2 so we can certainly make a case for them being value. Given we're backing them, we'd rather they chased because of the Russell factor when targeting a score but as brilliant as the West Indian is, he can't keep on doing that time and time again and everything suggests the hosts are a very good price so it's not worth over-thinking things. Now, this you don't see very often. An opener in a game of T20 cricket who is a world-class batsman, his country's skipper no less, available at 9/2. I'm not sure what the Betfair Sportsbook odds-compilers are thinking when pricing up Faf du Plessis at that sort of price but all the better for us. Yes, Ms Dhoni (also 9/2) is the team's highest runscorer but who would you rather be on? A guy opening the batting who will have every chance of being around for 12 or more overs or a guy who's a class act but may only bat for five or six because the Top 3 hang around? I think we've just answered our own question. The South African top scored with 54 not out last time and though Shane Watson deserves respect, he always does, he's considerably shorter at just 3/1 and we simply have to go with Faf. As far as the Kolkata top batsman market goes, we can easily make a case for Narine at 5/1. Yes, he's one of those guys who isn't too fussed about getting out as long as he's scored quickly enough before that happens but by the time it happens, he could easily have 50 to his name. Despite everything we've said about Russell, 7/2 is a stupidly short price about someone who because he comes in at 5, 6 or 7 may not bat that much or may even not bat at all. The steady Eddie that is Robin Uthappa is 7/2 and batting at three is worthy of consideration but Narine looks the value choice should you wish to play this market.